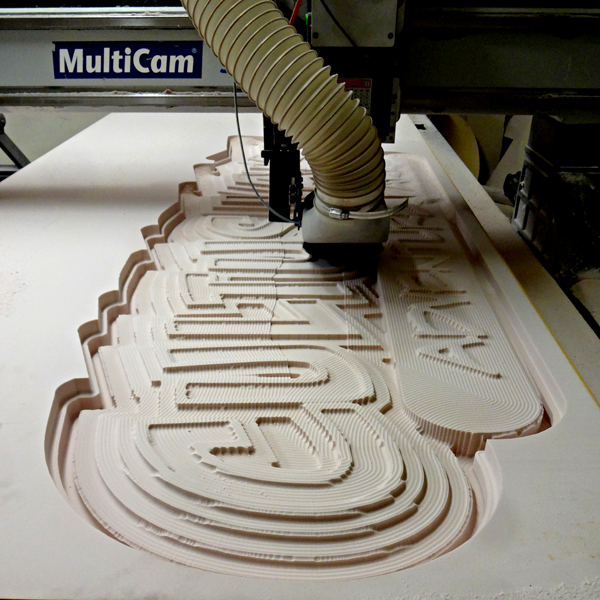 The sign lettering was routed in three pieces… the face, routed from 2″ thick 30 lb Precision Board, the middle (which houses the structure) routed from 1″ thick material, and the back which is routed from 3/4″ thick material. 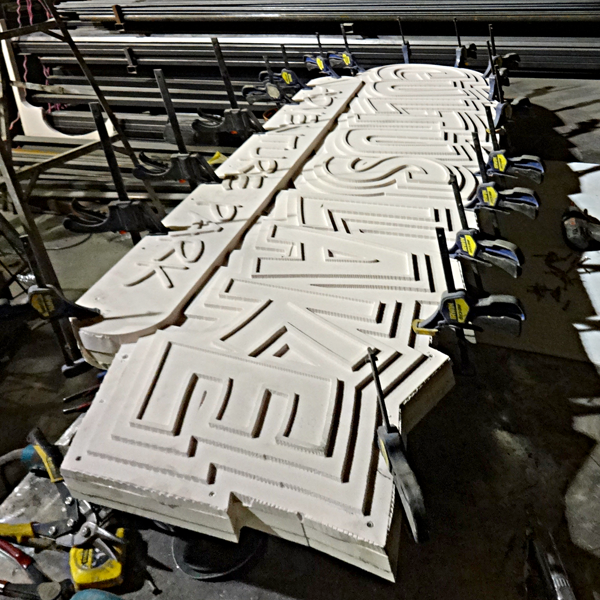 The sign face was routed in two passes, the first as a rough pass with a 3/8″ ball nose bit. The final pass was using a 1/8″ ball nose. I welded up the frame to fit inside, with the four legs sticking out of the back and then glued everything up.